Chicago, IL – July 19, 2016 – – Top Chicago Family Law Firm, Hoffenberg & Block, LLC, is proud to announce that attorney Jonathan J. Bereman was recently selected to receive the “10 Best” award from the American Institute of Family Law Attorneys (AIFLA) to honor his dedication to client satisfaction. The American Institute of Family Law Attorneys (AIOFLA) selects attorneys annually based on candidates that have obtained the highest levels of client satisfaction. The AIOFLA looks for Attorneys that have achieved unparalleled success but most importantly have done so for the benefit of their clients. Their rating system helps clients throughout the United States make educated decisions when it comes to choosing the best family law attorney in Chicago. Membership is an exclusive honor and is extended only to those select few who have reached the top of their profession while doing so with the client’s satisfaction being of the most paramount importance. AIOFLA thoroughly researches their attorneys and criteria for selection consists of nomination by a client and/or peer, 10/10 in client satisfaction, no negative feedback of any kind, they represent an industry leader, no bar or ethics complaints of any kind. Many Attorneys can achieve high degrees of success but this is often times at the expense or satisfaction of the most important person in the case – the client. 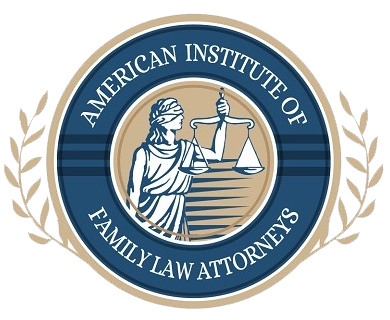 The American Institute’s Family Law Division looks for Attorneys that have achieved unparalleled success but most importantly have done so for the benefit of their client. Very few Attorneys can do so and our organization recognizes this significant achievement. Hoffenberg and Block LLC is a full-service Chicago Family Law Firm serving clients from Cook, Lake, DuPage and McHenry counties in Illinois for over 45 years. The firm dedicates its practice exclusively to matters of family law, such as divorce and legal separation, child custody and visitation, allocation of parental responsibilities (Parenting Time), child relocation, spousal and child support, property division, modification or enforcement of current court orders, prenuptial and postnuptial agreements, and civil unions. The firm prides themselves on both their experience and their compassion, which they bring to each of their cases. Hoffenberg and Block understand that it takes more than just skill in the courtroom to be one of the top family law attorneys in such a large city like Chicago. A no obligation case evaluation is available to all new clients. Hoffenberg and Block LLC can be reached directly by calling 312-853-8000, or visiting ChicagoFamilyLawyer.com, where more information on their services and attorneys is available.